Did you know that every second, the sun produces enough energy to sustain the Earth’s needs for 500,000 years? The increase in the popularity of using solar energy due to the growing number of people who are serious about reducing their carbon footprint and using energy more efficiently. To encourage this practice in our country, the prices of solar panels in the Philippines are very affordable. Installing solar panels at your home will definitely bring various benefits, such as reducing your electricity costs and saving the environment. Committing to a greener lifestyle requires extensive research and there are many things you need to consider, too. So before installing solar panels at your roof for a greener home, here are the four things you need to consider. Do you have a stable roof that can support solar panels? Unfortunately, there are some houses that simply cannot. Make sure that your rooftop is not covered in shade so that your solar panels can absorb enough sunlight for your regular electricity consumption. You must also consider the angle of your roof. Is it flat or steep? You may need to tilt your roofs so that the solar panels can get enough sunlight for its optimal performance. Lastly, check if your roofs are in good shape. Any sort of renovation should be done before adding solar panels. This will save you time and money from having to disconnect the solar panels. Different households have different levels of energy needs. Before purchasing your solar panel system, determine the amount of energy your home uses each month. This will help you properly estimate the number of solar panels you’ll need to sustain your monthly electricity. Although there are affordable solar panels in the country, the cost of solar panel installation may be the biggest expense when you decide to adapt eco-friendly lifestyle. Look around what’s available in the market then settle on a budget. 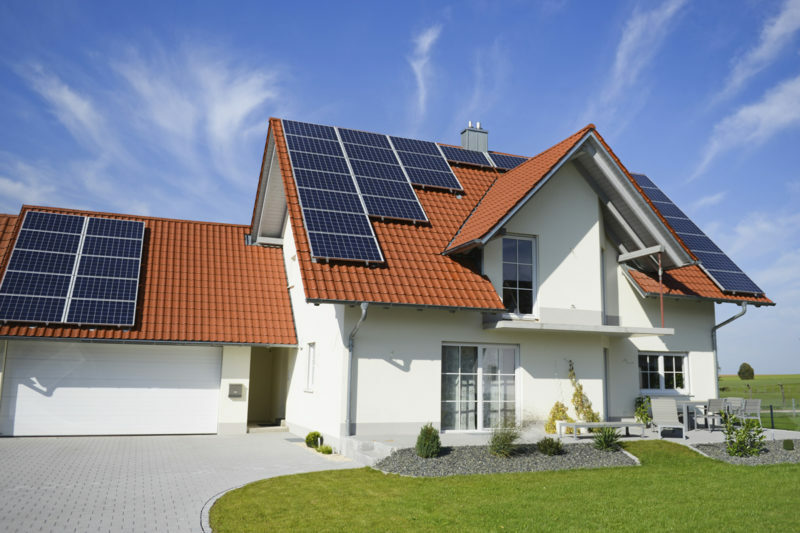 Knowing how much you’re willing to spend can help you decide on the different available solar panel systems. You also have the options of paying in full, via instalment, or whether you’ll lease the solar panel system instead. The advantages in technology allow everyone to have a choice in the type of solar panels to use. Many solar panel manufacturers offer various kinds of solar panels that will suit to different needs. Find out which one suits your home the most. Going solar may be a great decision for anyone – in a way, it’s a great decision for everyone. However seemingly small, it does bring benefits to our planet in the grand scheme of it all. Remember to talk to the friendly representatives of solar companies before purchasing or leasing your own solar panels, and don’t be afraid to ask any questions. Consider the things mentioned above before switching to solar energy so you can make the most out of it and make the best decision for your home. Start eliminating your household energy consumption and join the solar revolution!